Terry Vainoras : I started Subterranean Disposition as a solo recording project in 2009. I am a metal musician from Melbourne, Australia. I have a long history in the Australian Metal scene writing and performing with many bands in my Twenty year career ( Damaged, Hellspawn, Order of Chaos, Cryptal Darkness, The Eternal, Insomnius Dei,). The albums’ sound has been described as Melodic Doom / Death with elements of atmosphere and sludge, which I can agree with. Listening back to it now I can hear the influence of many of the lessons learnt in my previous bands from the years past. As far as outside influences go the sounds of Bohren und der club of gore, Earth and Cult of Luna inspire me to think outside the box when it comes to my own songwriting with SD. Any metalhead who likes crushing heaviness coupled with melody and dissonance and a good sense of dynamics between atmosphere and brutality will find something to enjoy in SD’s debut album. 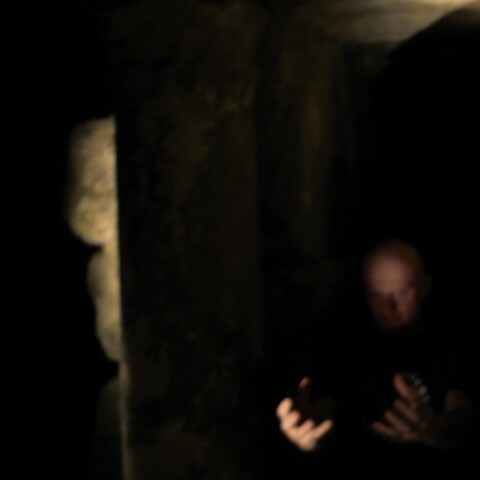 The Album will drop through Hypnotic Dirge records on October 15. One track so far has been released online – "The most subtle of storms” which has received much positive feedback, particularly the use of saxophone in the song. At present I am putting together a group to interpret the songs live, so by the time the album comes out we will be able to tour Australia to promote it in late 2012/ early 2013 , with a view to touring overseas also in 2013. Expect the unexpected: Dissonance. Ambience. Dynamics. Heaviness. Melody. Music to take your time with. The plans are to promote the upcoming release and like stated previously to perform live in Australia and abroad after the Album drops.